A few weeks ago I was invited to the media preview of Sydney Cove Oyster Bar‘s Harbourside Beach Barbie, taking place every Saturday at lunchtime in October for only $55/pp. 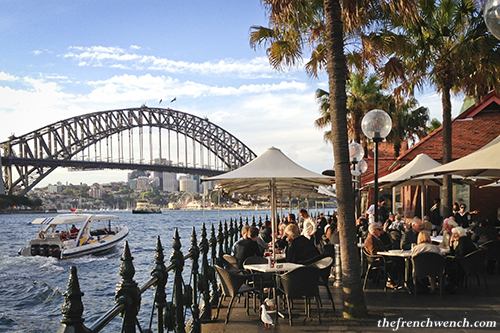 during Good Food Month, Sydney Morning Herald’s food festival. A few weeks back I was invited to attend the Malaysia Kitchen BBQ Madness taking place in Parramatta, where a bunch of prestigious chefs were to do cooking presentations and introduce traditional Malaysian dishes to the audience, as part of the SIFF / Crave Festival. With names like Florence Tan (a celebrity chef from Kuala Lumpur, who I had seen in a Rick Stein‘s Far Eastern Odyssey series), Adam Liaw and Alvin Quah, both from Masterchef Season 2, it promised to be a great event! The only chef I didn’t know was Wanitha Tanasingam, the Malaysia Kitchen Ambassador, and I was really glad I got to see her as she turned out to be a fantastic host, very funny and lively! 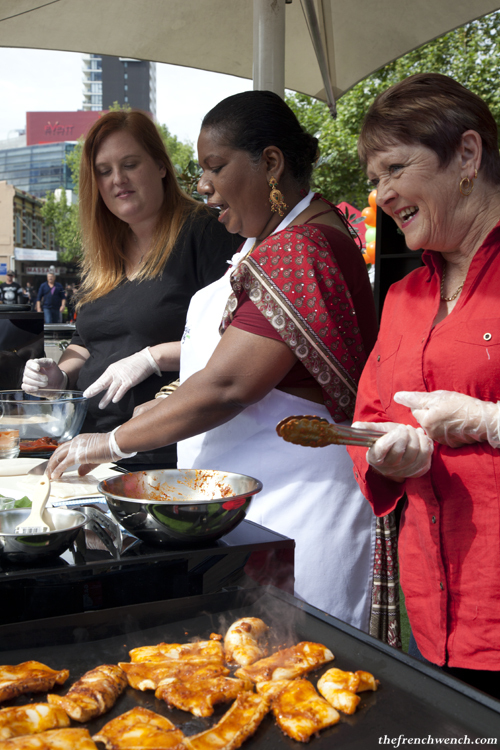 I made my way at the Church Street Mall in Parramatta a bit after 9am to find that the cooking presentation of Wanitha had already started. I was happy to see a few familiar faces in the presence of my fellow bloggers (Thang, Sara and Josh, Jacq and later Karen ..). Even Billy from A Table for Two & Masterchef 3 turned up later that day, causing quite a stir amongst the fans out there!